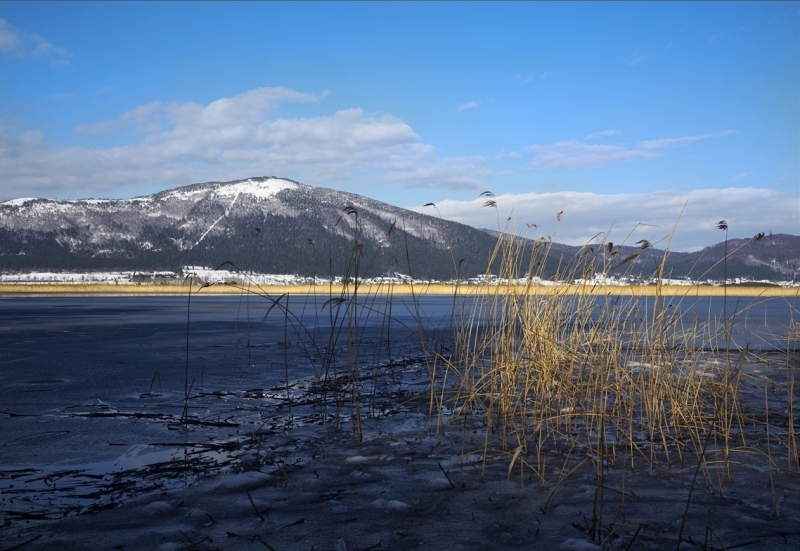 The lake normally stays on the Cerknica plain for about eight months a year. 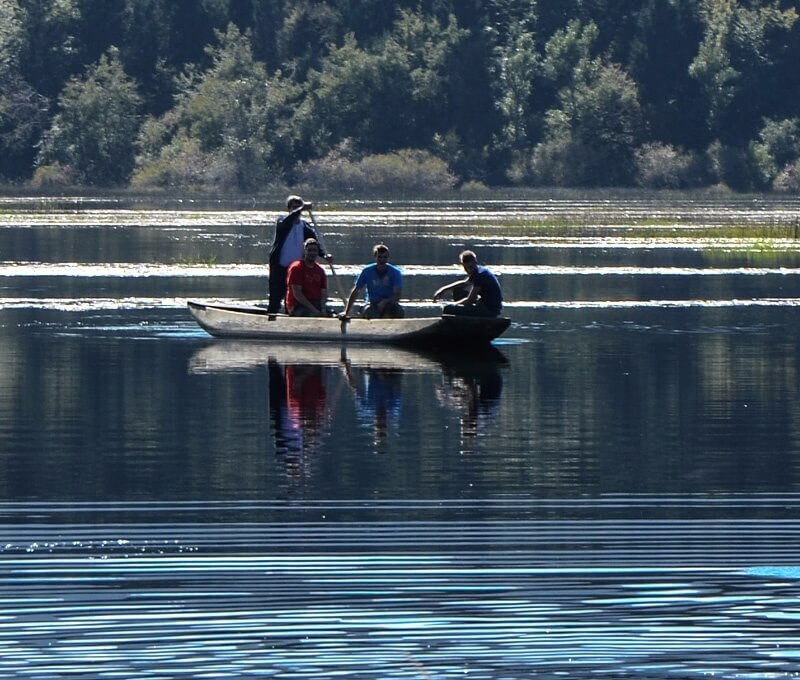 Water usually spreads over the surface of 20 km2, but at its fullest, the lake covers a surface of nearly 30 km2. 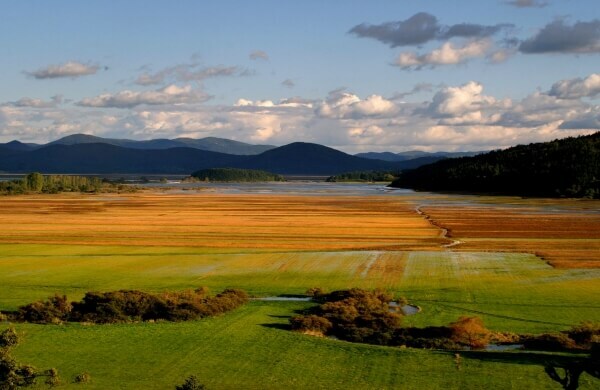 When full, Lake Cerknica becomes the largest lake in Slovenia. It was first mentioned as early as ancient history, and it has been included on the maps of Europe ever since the 15th century. 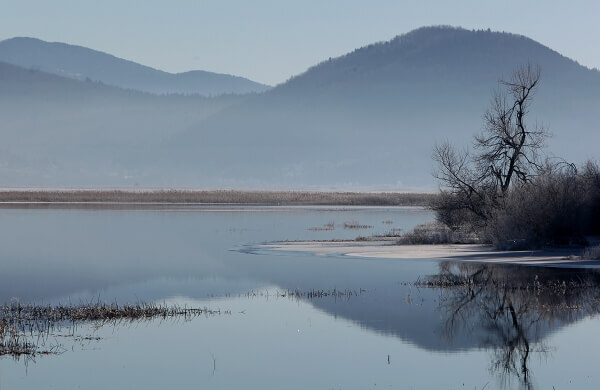 The hydrology of the lake was first researched by Carniolan natural historian Johann Weikhard von Valvasor, which won him a Fellowship of the Royal Society. 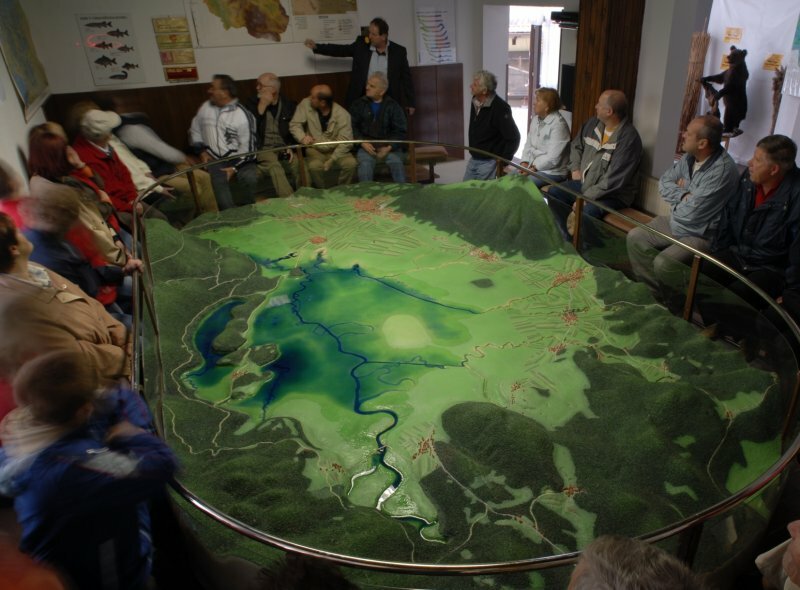 Here is the cradle of karstology and terms such as karst polje (plain) and intermittent lake. 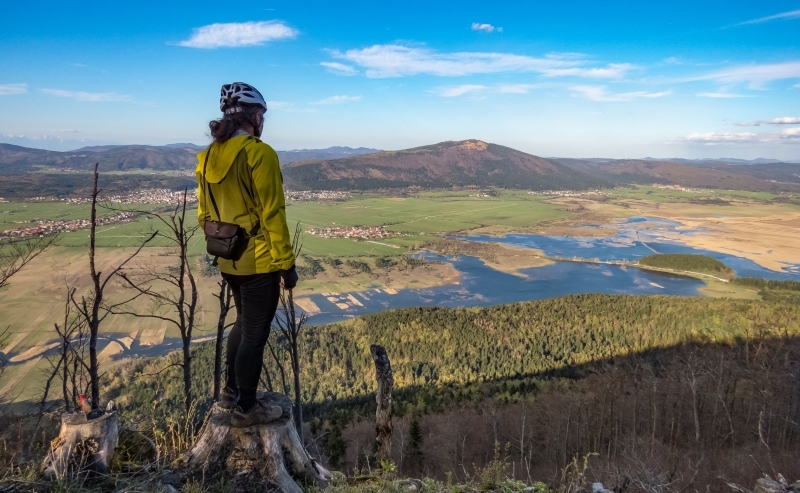 The importance of intermittent Lake Cerknica, therefore, goes far beyond Slovenia's borders. 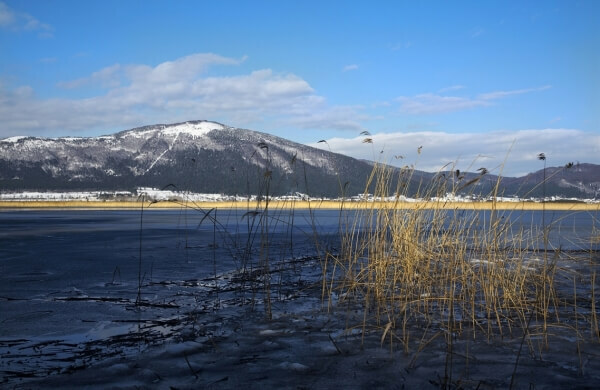 Along with the Rakov Škocjan valley and the Križna jama cave, Lake Cerknica has been designated as a wetland of international importance – Ramsar Site, and also as a Natura 2000 Site because of its importance for the preservation of endangered birds. 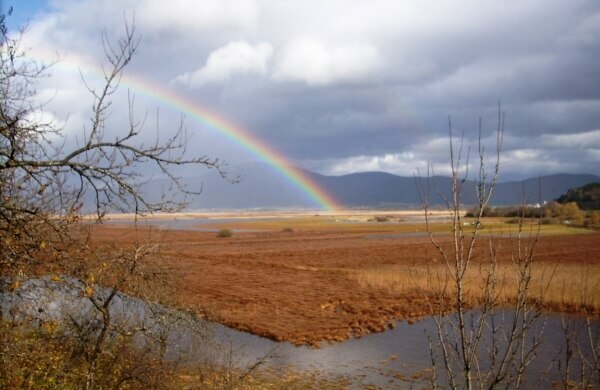 In the area, 276 bird species have been observed – one half of all European species; this is home to 45 mammal species – one half of all European species; 125 butterfly species can be spotted here – a little less than a third of all European species; 15 amphibian species spawn by the lake – nearly a quarter of all European amphibians... Biodiversity of the region is truly exceptional! 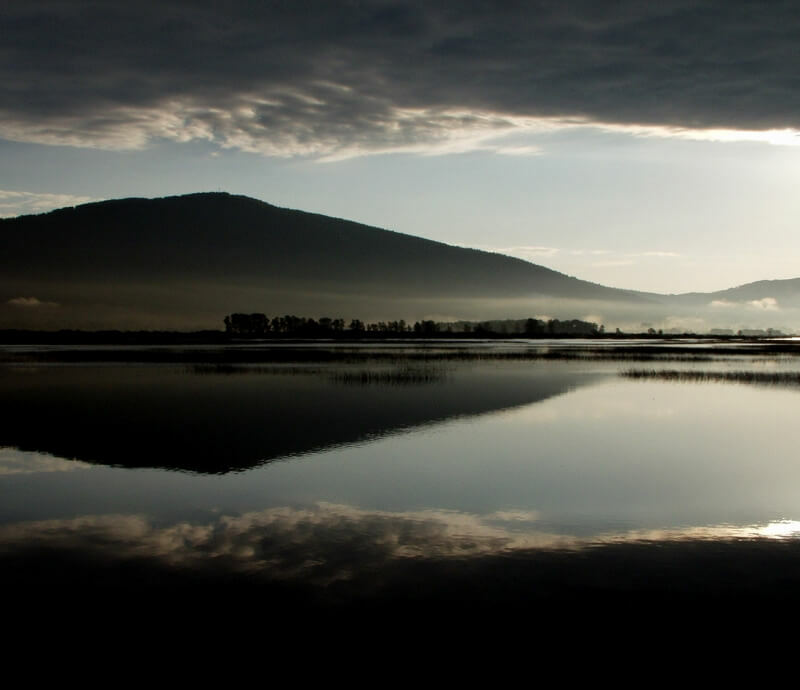 People from across the region have strong ties to intermittent Lake Cerknica as well. 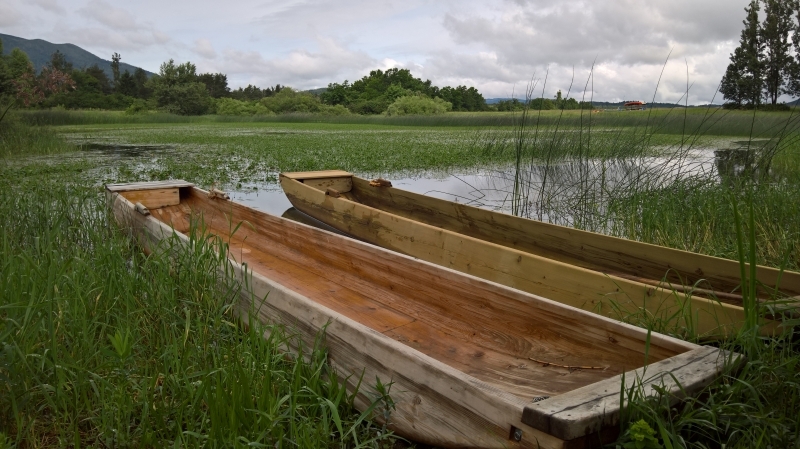 The abundance of fish and game has attracted people and provided them with nourishment since the Stone Age. 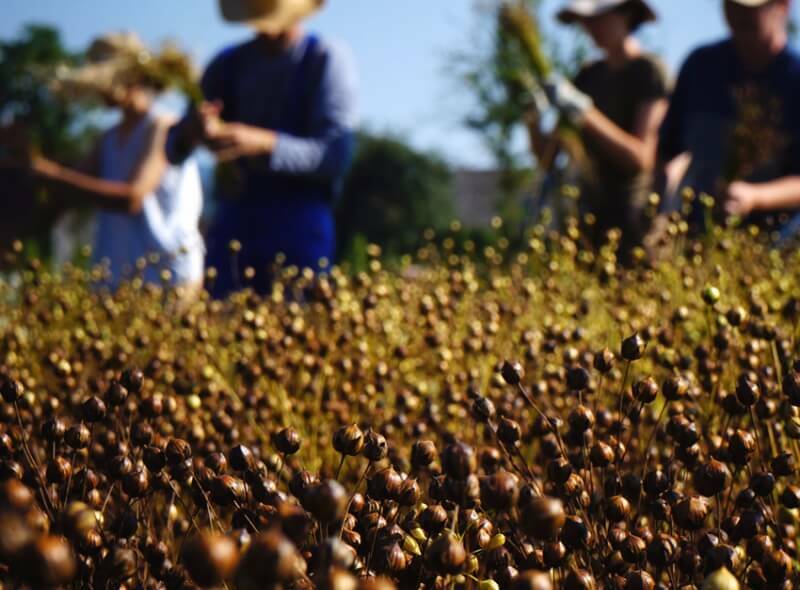 After all, generations of hard-working hands have co-shaped the typical landscape on the moist soil of the basin, and by maintaining the flood meadows, they continue to ensure habitat for endangered flora and fauna. A combination of time, water and rocks has created the phenomenon of draining, which keeps the life on this marvellous karst plain in motion. 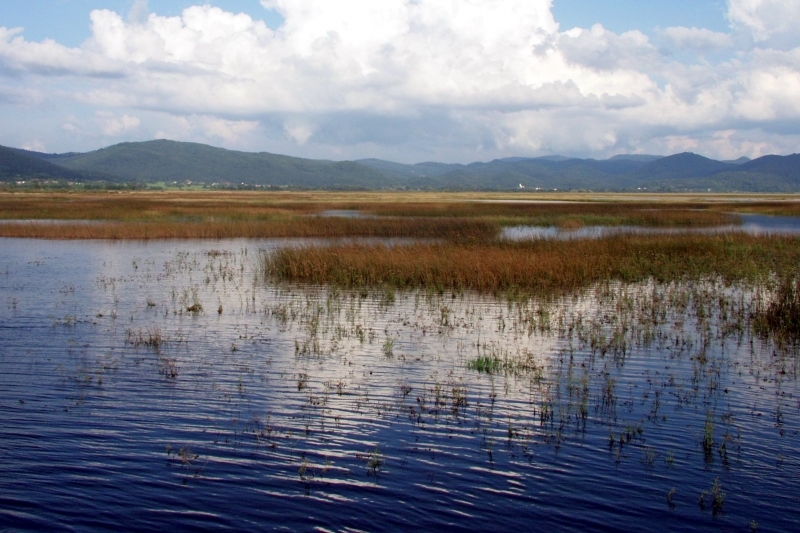 Lake Cerknica is intermittent because it fills up after long precipitation periods and drains out during the dry season. 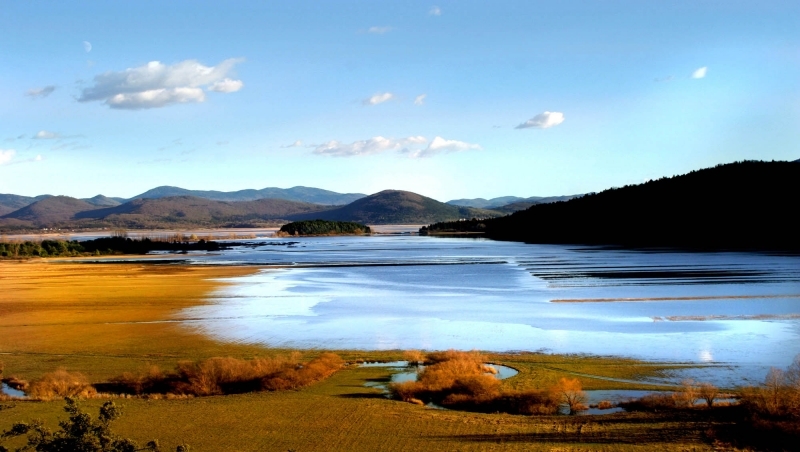 The lake spreads over the Cerknica plain when its water inflow exceeds the outflow. It is filled up in two or three days by heavy autumn rain, whereas in springtime the inflow is affected also by melting snow. Water flows to Lake Cerknica underground from the Bloke and Vid plateaus, the Lož valley and from beneath the Javorniki hills. The only surface tributary is the Cerkniščica stream. Discharge of water is a slower process. During the dry season, the lake drains out in three to four weeks. 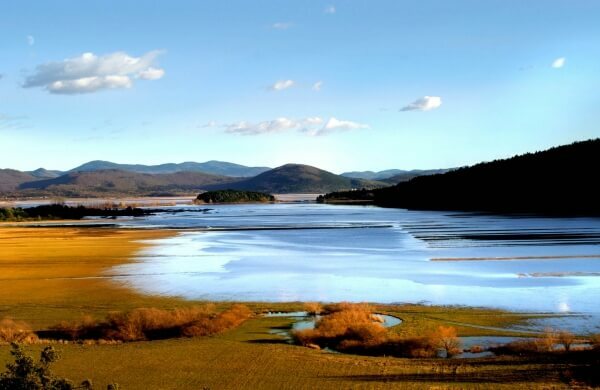 All the water seeps underground, making the outflow of Lake Cerknica entirely karstic and the Cerknica plain a typical karst plain. The underground outflow is complicated. 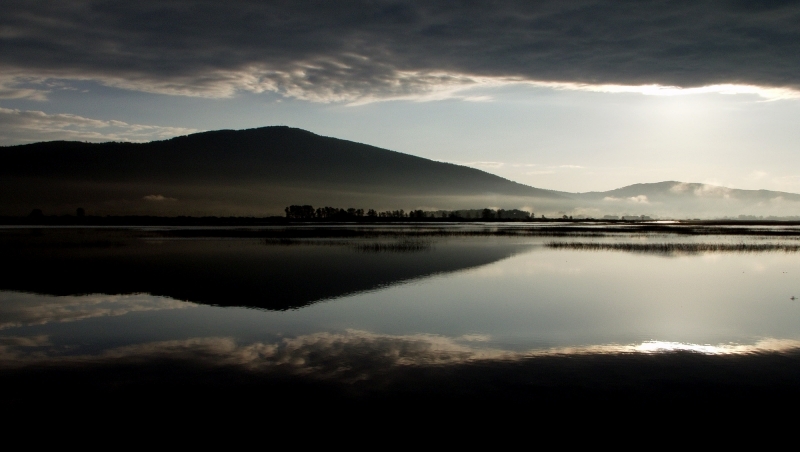 Lake Cerknica acts as a geological watershed from where the water flows in two directions. 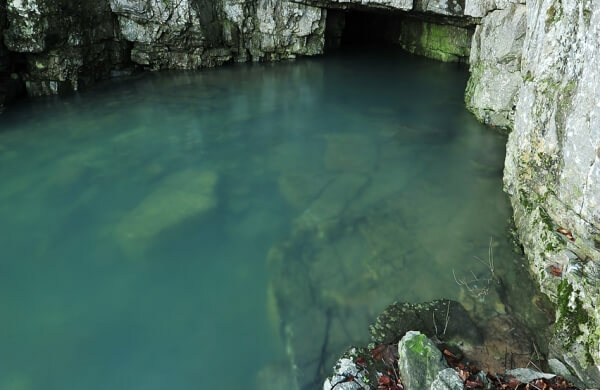 One part discharges through ponor caves in the Jamski zaliv cove, and surfaces as the Rak river in the picturesque Rakov Škocjan valley. 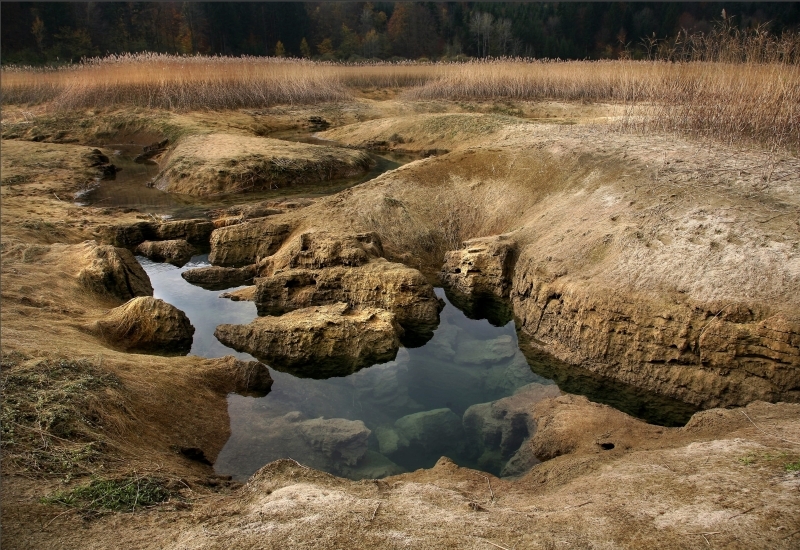 The other part drains through sinkholes and estavelles in the lake basin directly into the springs of the Ljubljanica river on the edge of the Ljubljana Marshes. 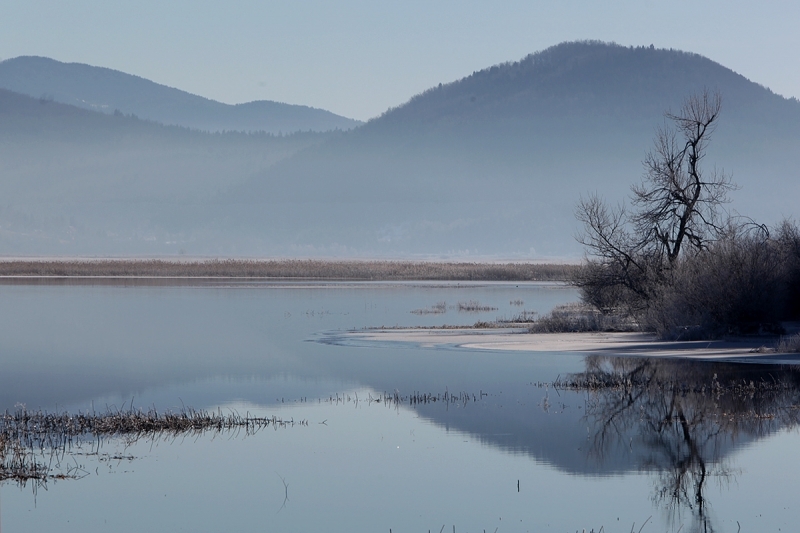 Intermittent Lake Cerknica acts a strong magnet to birds. 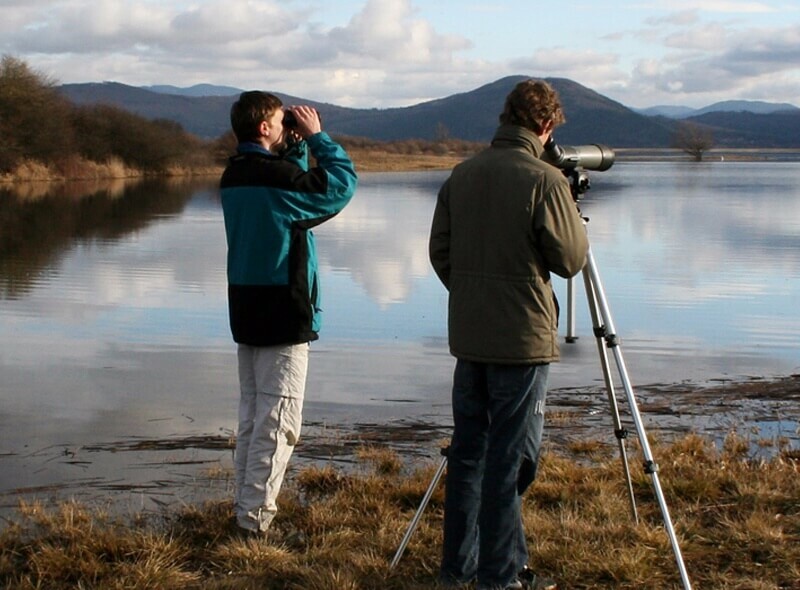 So far, more than half of all European bird species have been observed in this area. The ever-changing landscape creates unique opportunities to observe these animals in their everyday activities throughout the year. In springtime, wood sandpipers, ruffs and common snipes rush along the shore, skilfully using their long beaks to feed on larvae of water insects and other invertebrates left ashore by the retreating lake. 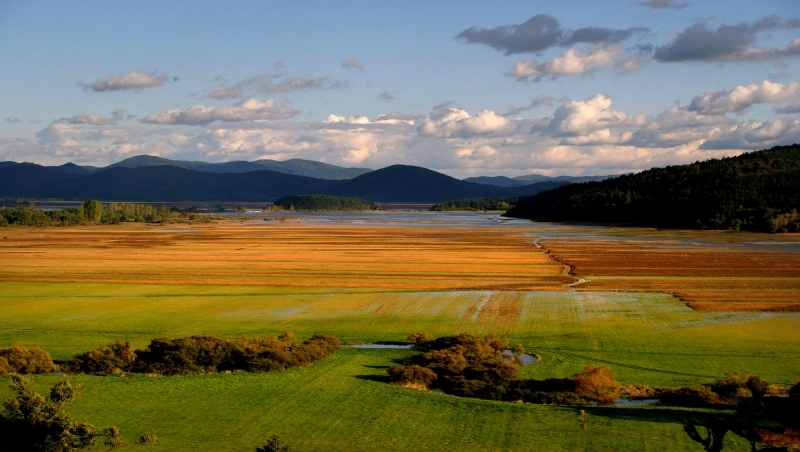 Northern, Montagu's and western marsh harriers fly low over the vast Cerknica plain and look for prey. Purple and great white herons patiently wait at meandering streams, with black terns gently flying above them. When cockchafers swarm, flocks of sociable red-footed falcons make a stop at the lake while moving east, and Eurasian curlews start calling for their mates. In long summer days, Eurasian hobbies chase cheeky skylarks, red-backed shrikes are looking about from the bushes, and above the vast grasslands, home to redshanks, snake eagles glide. At sunrise, red-necked grebes are already diving to find young fish, whereas shy black stork only comes to the vast marsh at dusk. On clear nights, corncrakes court their brides loudly and relentlessly, waking up the nocturnal species – water rails and little and spotted crakes, which are hiding in the thick sedge and reeds. 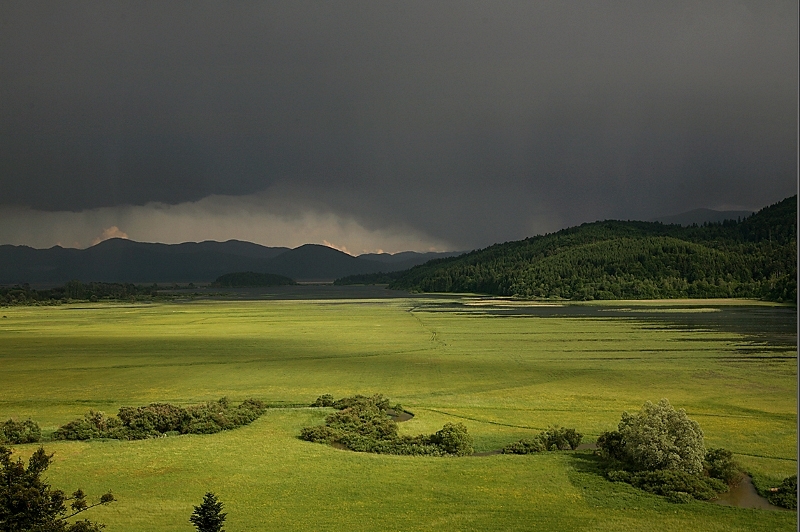 Indeed, the Cerknica plain never sleeps... This holds true also because of the repeated chirping of sedge, barred and reed warblers, whinchats, rosefinches and Savi's warblers. 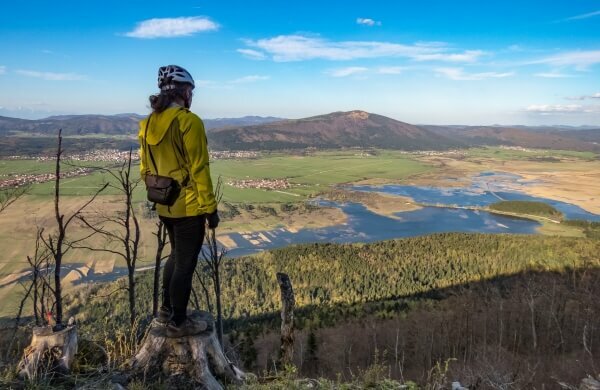 The importance of the intermittent lake for the endangered bird species surely goes far beyond Slovenia's borders, therefore, Lake Cerknica has been designated as a Natura 2000 Site and a Ramsar Site. 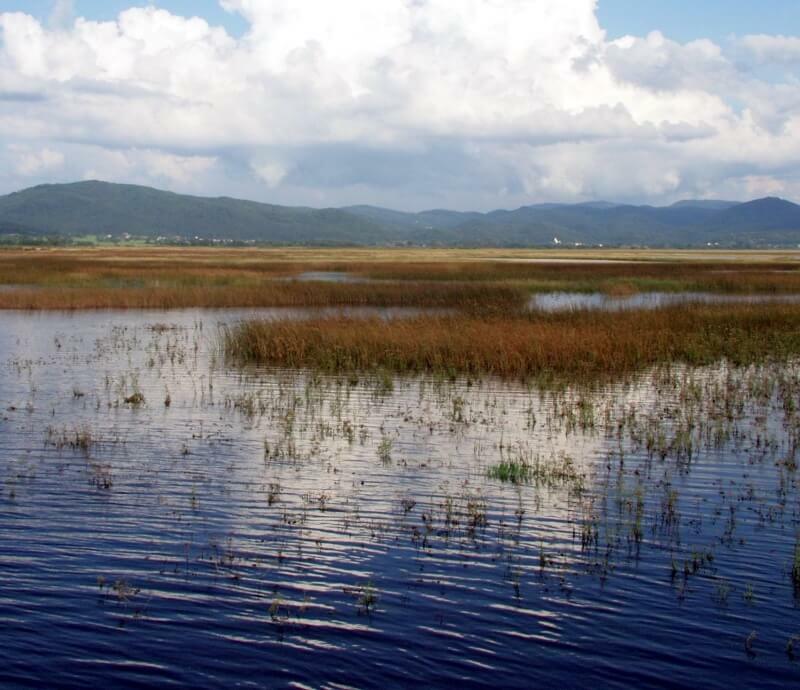 Fish have attracted people to the shore, ponors and sinkholes of Lake Cerknica since prehistoric time, but beasts and flocks of birds feasted by the drained lake long before the first humans. In the meantime, tenches chat at the bottom of the stream bed and expose themselves to sunbeams. 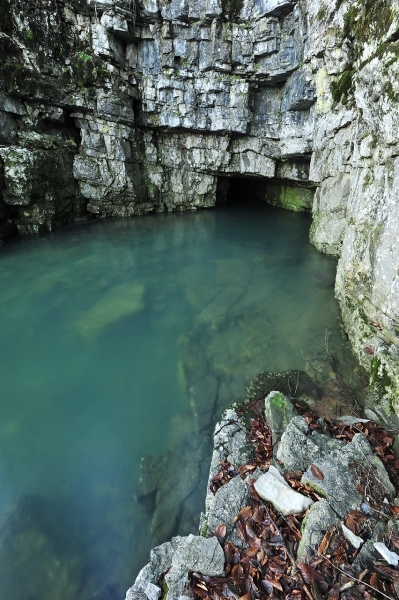 This dark green šlajn, as the locals call the fish, glistens in gold shades when it turns the stones here and there, chases out mayfly larva and sups it up lazily for its midday snack. Carps, which were introduced into the lake artificially, also take delight in foraging for insects' larvae and other invertebrates. By the springs of streams which feed the lake, bullheads huddle under rocks and enjoy the cold, oxygen-rich water. A bit further down the shore there is a group of small fish. These are common minnows, springing after the larvae of water insects, and by the flickering pondweed, there is also this little beauty: red-spotted brown trout. Burbots only leave their shade in the reeds and roots by the stream before nightfall, and then, in the shelter of the night, look for food. Their nocturnal way of life also comes in handy when the lake drains out and they wait underground until the next flooding. 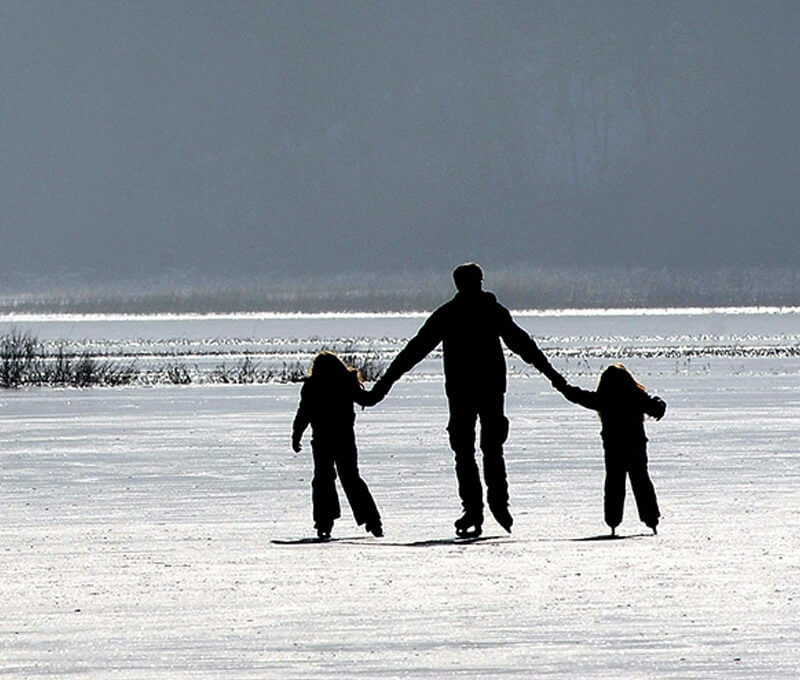 Spring melts the ice crust, awakens thousands of amphibians from hibernation and lures them from their underground nooks out onto the lake. And now the mating can begin! Masses of green and tree frogs and common toads loudly and relentlessly greet the evenings late into summer. Most extraordinary is surely the over-wintering of common frogs in one of the caves. Up to 20,000 individuals may gather there in the course of winter, which is the largest event of its kind in Europe. Myriads of stone- and mayflies complete their cycle in water and swirl in their mating dance on the wings of summer nights. This bug wedding turns into a great banquet for bats. When the weakened insects totter into the lazy meandering streams, fish take over the feast, and afterwards, numerous organisms, sometimes invisible to the human eye, also take their turns. The latter transform the organic matter into the inorganic one and make it available for the plants again. In this way, the lake gives and takes lives in its unique manner in the never-ending circle of matters and energy flow. 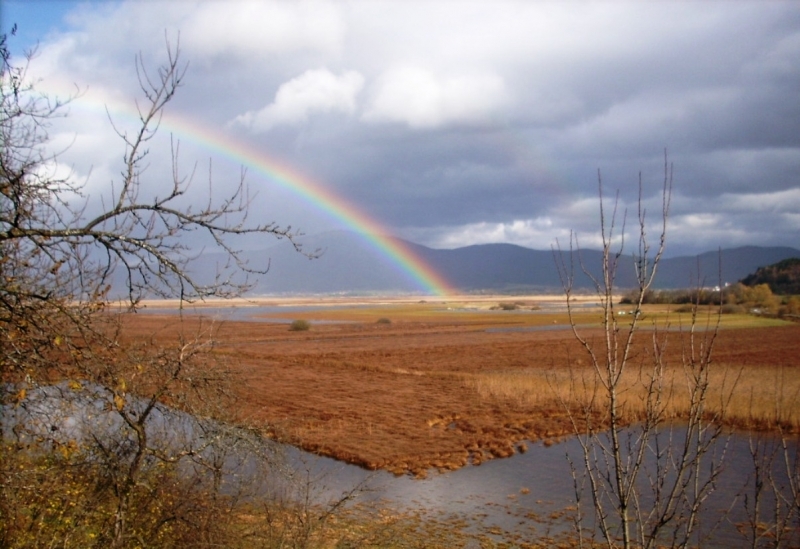 The colourful mosaic of habitats, often impassable terrain and abundance of food provide shelter and enable the survival of this remarkable animal world. 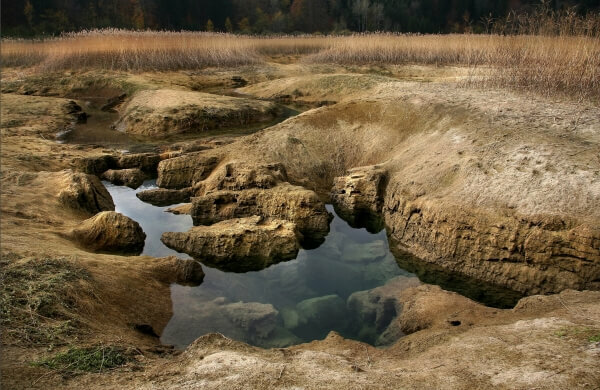 All living creatures are closely connected to each other, and together with the karst soil and typical climate, form an extraordinary ecosystem – strong and vulnerable at the same time, an ecosystem called an intermittent lake. Are there plants which 'eat' animals? Yes, there are. Intermittent Lake Cerknica is home to three species of carnivorous plants: intermediate bladderwort, bladderwort and oblong-leaved sundew. 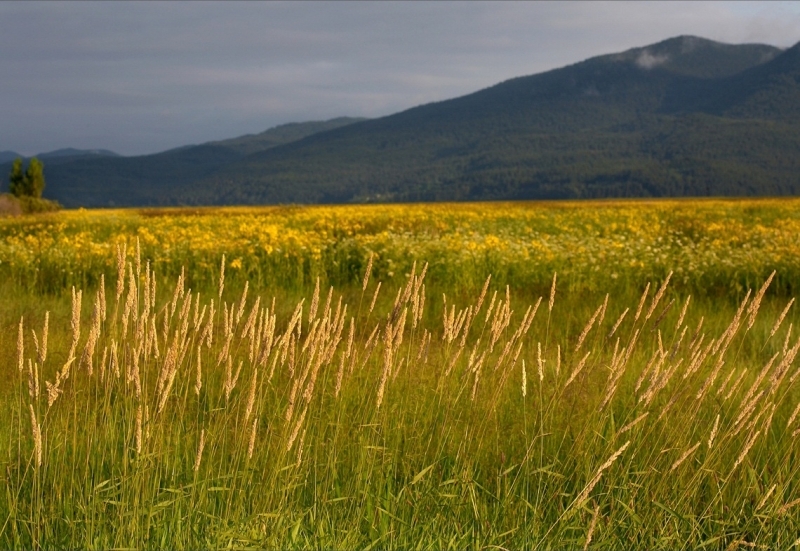 Visitors are instantly charmed by wet meadows rich with endangered and protected plants. Wild gladioli and orchids (early marsh orchid, broad-leaved marsh orchid, marsh orchid and marsh helleborine) thrive here in such numbers that one may doubt they are endangered. 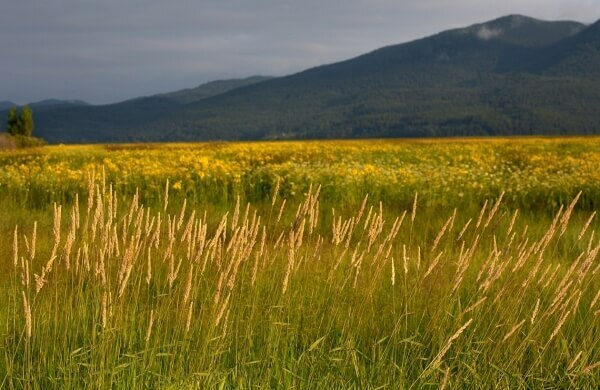 Among the most obvious species with colourful flowers found in the area of Lake Cerknica, there are also tens of grass-like endangered species. 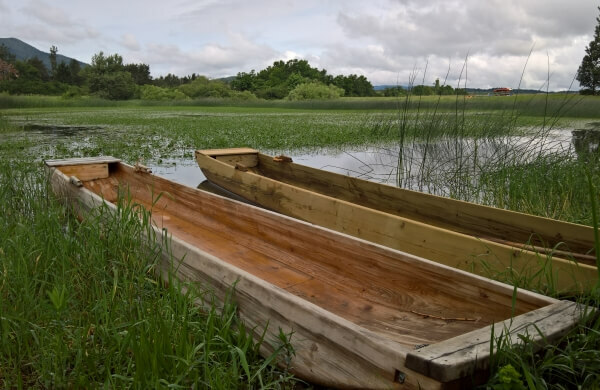 They may not be eye-catching, but many of them form typical communities and are, therefore, of great importance for the intermittent lake's ecosystem. 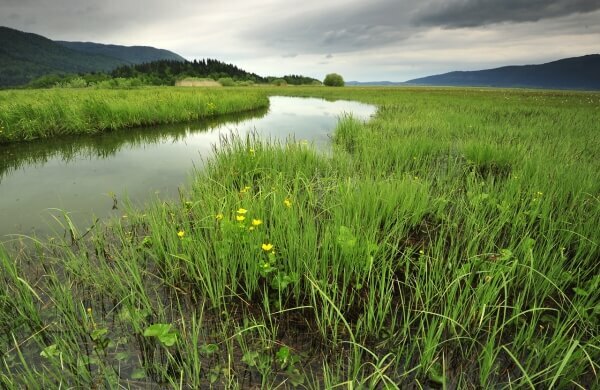 Typical inhabitants of Lake Cerknica, and a truly special group of the flora world, are surely the amphibian plants. They have adapted to the draining of the lake to an extent where they can thrive in water as well as on land. The most common, and at the same time most visible, among them are greater water parsnip, water smartweed, great yellowcress, fen ragwort, mare's tail, flowering rush and great spearwort. They are all endangered in Slovenia. The rich flora, dependent on the moist and marshy soil, is not only feast for the eye; it also enables life to diverse fauna and, let's not forget, to the local people.